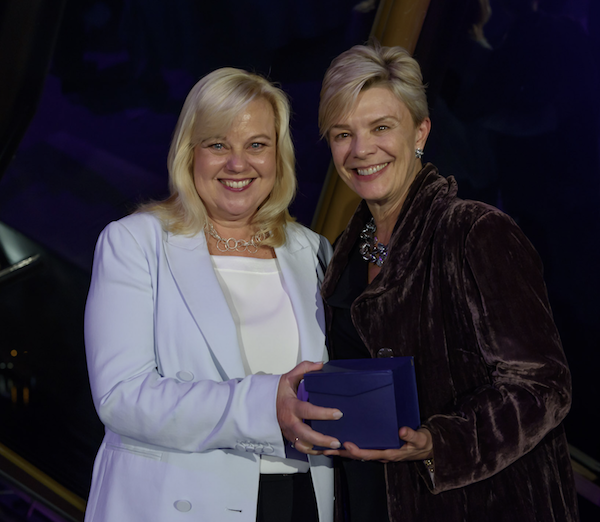 Leading University of Sydney Professor Leanne Togher has been awarded the Elizabeth Blackburn Fellowship (Clinical) at the National Health and Medical Research Council’s (NHMRC) annual Research Excellence Awards, recently announced in Canberra. One of four researchers recognised, out of more than 5400 entries across many scientific fields, Leanne was lauded for her landmark work in developing communication skills between victims of traumatic brain injuries and their family, friends, carers and community stakeholders such as health professionals and police. Well deserved: Leanne receiving her award from Prof. Kathy North in Canberra. 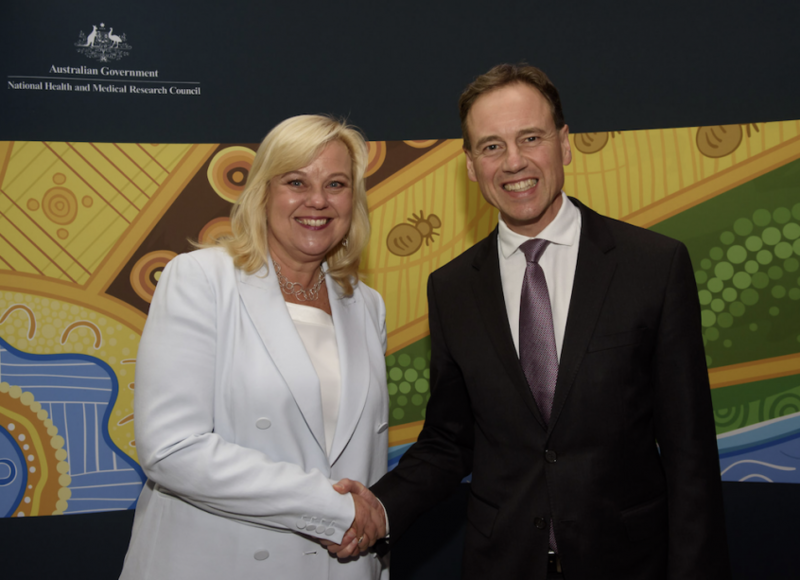 Her work uses digital health training and technology to make her unique treatment more widely available and was recognised by the industry, including Federal Health Minister Greg Hunt and Professor Kathy North, who presented the award. Brain Injury Australia would like to congratulate Leanne on her award, and salute the work she has been doing for many years now. Leanne’s NHMRC-recognised work has seen the development of TBI Express, an everyday communication tool for supporters of people with TBI, and has since developed that treatment into a Skype-based telehealth clinical trial called TBIconneCT. For more on Leanne and her award, click here.